Age Is Just A Number and Success has no age limit. Never let anyone say you are too young or too old to try something new. It is never too late to pursue your dreams. 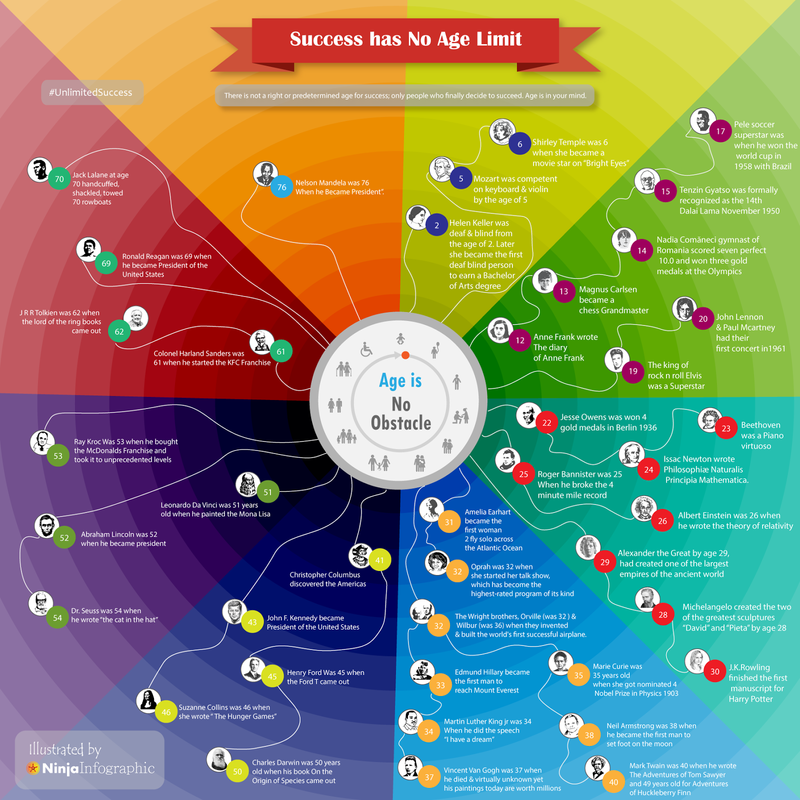 Some of the most successful people achieved their greatest accomplishments late in life. Why not you? Some people wait for right age & time to start something new . Its just a mindset….